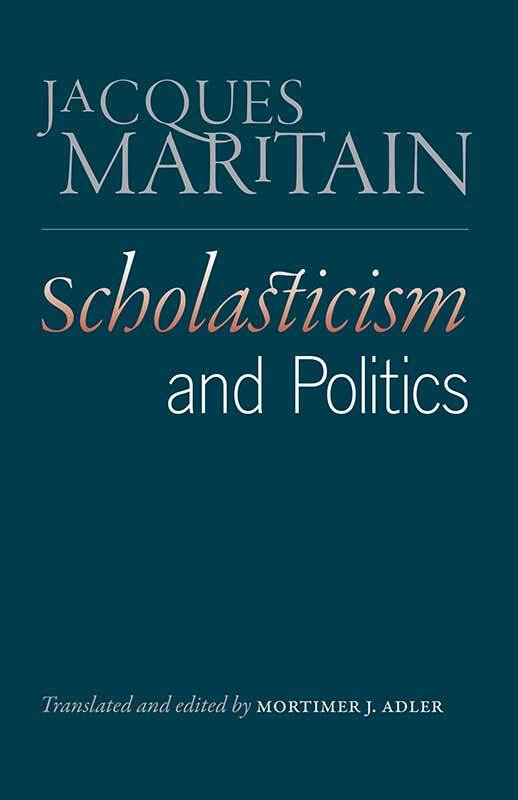 Scholasticism and Politics, first published in 1940, is a collection of nine lectures Maritain delivered at the University of Chicago in 1938. Maritain championed the cause of what he called personalist democracy—a regime committed to popular sovereignty, constitutionalism, limited government, and individual freedom. He believed a personalist democracy offered the modern world the possibility of a political order most in keeping with the demands of human dignity, Christian values, and the common good. Jacques Maritain (1882–1973) was a French political thinker and philosopher and is widely recognized as one of the most influential interpreters of Thomistic thought to modern culture.